hello again... did you ever think that you could help someone just by clicking a few icons on the computer? there are some websites that donate things to the unpriveledged if you do some stuff in their website. 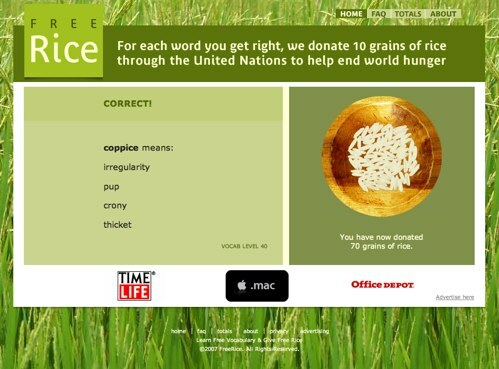 when you enter this website they donate grains of rice for each correct vocabulary word meaning you answered. they stated that "For the first time in human history, the number of hungry people worldwide will exceed one billion this year." every 60 seconds, 10 people die because of hunger! imagine! just by answering a couple of vocab words correctly you'll be helping and saving lives. enter http://www.freerice.com/ now. in this website you can click an icon and join a drum circle. it only takes about 30 seconds. in these thirty seconds you'll be able to help less fortunate kids get educated by getting laptops from this website. hi....i'm not the one giving rice, the website is. but anyways, i hope that you can enter and help them out. 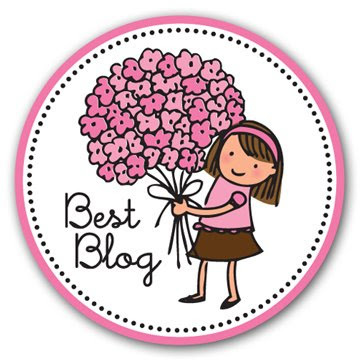 thanks for posting this comment! So can you please send me back a comment saying what do i do in that website!